When I wrote recently that Fliphound‘s online buying and selling platform can now be accessed directly through Daktronics Visiconn Display Management Solution to provide seamless and automatic configuration of Fliphound for Daktronics display owners, it was the first time that I had dealt with that automated buying platform for the OOH industry. So it was great to meet up with Doug Robertson, Fliphound’s CEO and co-founder whom I had a chance to interview during the OAAA/TAB Convention and Expo last week. Prior to Fliphound, Robertson had worked for Motorola’s cable modem division, then went on to build software for pharmaceuticals used by 6,000 customers, and from there moved on to own Atomic Billboards with a partner in Wichita, Kansas. Fliphound, located in Wichita and primarily focused on enabling new local and regional advertisers, was founded two years ago. It went online with its buying with three customers and now has a good 500 people using the system – 85% of whom, Robertson said, are new to outdoor. “It’s basically self-service,” said Robertson. “It’s a solution with real time bidding, and 20,000 campaigns have already run on Fliphound. “My thoughts were, ‘let’s break down the barriers and make OOH/DOOH easy for people to buy. Advertisers and agencies want to buy digital billboards the same way they buy internet and social media ads. The Daktronics announcement was critical to moving the industry forward. Fliphound has made online buying a reality for Daktronics display owners. Robertson says that small businesses are already advertising online today, and digital billboards are another medium for online advertising that they can easily access to reach local markets. Fliphound makes OOH accessible to the 27+ million small businesses and 12,000+ advertising agencies in the US. He said that Atomic, which has close to 50 boards, “did 0% of our business online in 2012 and 24% on line in 2014. all from pre-paid advertisers. “Fliphound was first to market with a real-time buying solution in May, 2013; first to offer Day Parting to online buyers since Sept., 2014; and first to offer mobile application for online buyers – for both IOS and Android – since Jan. 2015,” said Robertson. 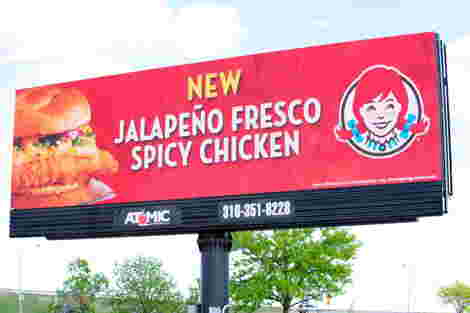 “We are adding new customers every day, and we’ve found that, while a local advertisers might put a campaign on one board for a few days for maybe only $10, advertisers on average have purchased between two and six billboards for each campaign, and that they are spending approximately $300 to $700 a month. They like such features as being able to pause or stop a campaign; to budget by board or campaign; the abilities offered to choose and change boards or to swap and change content; and that they can receive online reports. 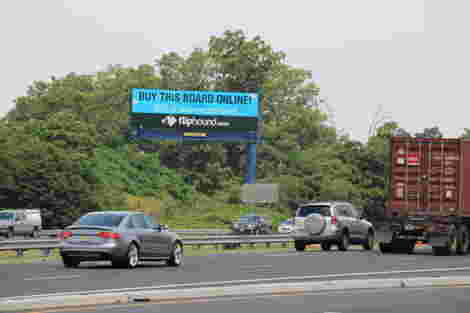 While Fliphound is initially targeting OOH digital billboards, the platform has the capability to serve smaller displays in the digital play space. “Our initial focus remains enabling local and regional online ad buys on digital billboards since we believe there is a big opportunity here, given the rollout of digital billboards by the 2,000 billboard operators,” said Robertson. 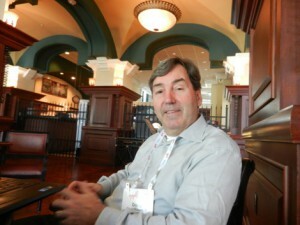 “That said, we have been approached by DOOH play space networks (campuses, doctors’ networks, etc.) and will consider an entry into this market after we establish a strong footprint in billboards. We see an opportunity with some of the transit-focused operators who have built out smaller poster display networks in some of the major metro markets. This entry was posted on Tuesday, May 19th, 2015 at 16:00 @708 and is filed under DailyDOOH Update. You can follow any responses to this entry through the RSS 2.0 feed. You can leave a response, or trackback from your own site.